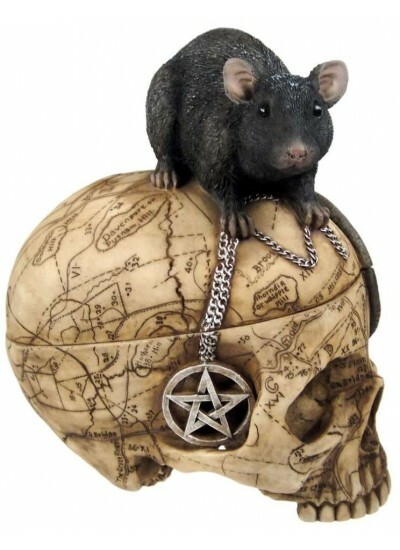 Unique skull box perched by a mouse with a pentacle neckace in cold cast resin. Great for Halloween. Cold cast resin, finely detailed skull is 9 inches high. 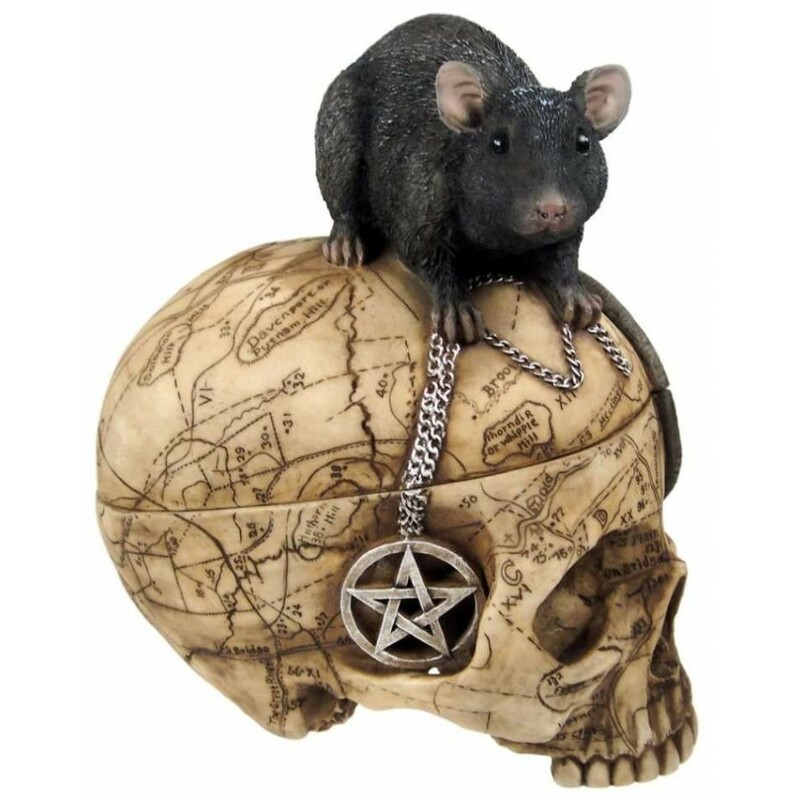 Decorated with a map of old Salem, Massachusetts, site of the infamous witch trials, a mouse perches on top holding a pentacle pendant in it's claws. Item Number: PT-9850 | Approximate Size (Inches): 4.00 wide x 4.00 deep x 9.00 high | Approximate Shipping Weight: 2.50 lbs.